Working with a small team of family members, Randy and his team place a great deal of emphasis on providing exceptional personalized service, up to date market knowledge, outstanding representation, and a commitment to building lasting relationships. They understand how imrtant it is to make sure the overall experience is smooth, well managed, and successful. They believe that people deserve top quality real estate service that is client focused and backed up by accountability. Vonnie has worked with Randy in the real estate business for over 26 years and is the office manager of Randy Cudd & Associates. She manages all the day to day operations; overseeing marketing, advertising, listings and closing details. Vonnie has been married to Randy for 45 years and they have 3 children and 4 grandchildren. Sara has worked with Randy Cudd & Associates since 2003, previously working in the account management and marketing fields. Sara received her Bachelor of Business degree with majors in Marketing and Human Resource Management from the University of Wisconsin-Madison. Sara assists with all facets of the real estate business, focusing on the marketing, administration, and assisting in buying and selling activities. Integrity, professionalism, honesty and knowledge are the principles on which Randy has built a successful 43 year career in the real estate business. 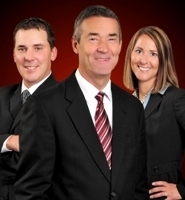 As one of the leading real estate professionals in Western Wisconsin and Eastern Minnesota, Randy remains more committed than ever to continue to deliver valuable and incomparable guidance to each and every one of his clients. Randy knows how much is at stake when buying or selling a home. That is why he carefully listens to his clients to attain a clear understanding of their goals and then crafts a personalized plan on how to best meet those goals. Whether it is guiding the first time home buyer or working with the seasoned investor you can feel confident that Randy will be with you every step of the way. Along the way, Randy has received many awards. However, his biggest tribute is the growing number of clients and fellow agents who refer their friends, family, and valued business contacts each year. If you are in the market to sell or purchase a new home, or to invest in real estate property, please contact Randy Cudd today. Aaron has been a member of Randy Cudd & Associates since 2000, and is a licensed real estate agent in Wisconsin and Minnesota. Aaron assists with all the daily real estate activities of Randy Cudd and Associates and he is also the dedicated technology specialist. He is involved with buyers and sellers in every aspect of the real estate business from the very first contact with the clients through the final closing details. Through his hard work, enthusiasm and dedication he helps make the buying and selling process an easy and pleasant experience. Aaron has many years of experience in rental ownership/management, new construction and one of his favorite pastimes, complete renovations projects. Aaron resides in River Falls with his family.